Through our own experience and working with many small businesses, there’s a common thread — we all need support. Moreover, we need it from the people who matter most to us, our friends and family. We can search the Internet for ways to use social media to grow our small business, or how to succeed as a small business owner. However, a helping hand and words of encouragement can also go a long way. Getting support from loved ones can help us push through the tough (and sometimes lonely) moments as entrepreneurs. 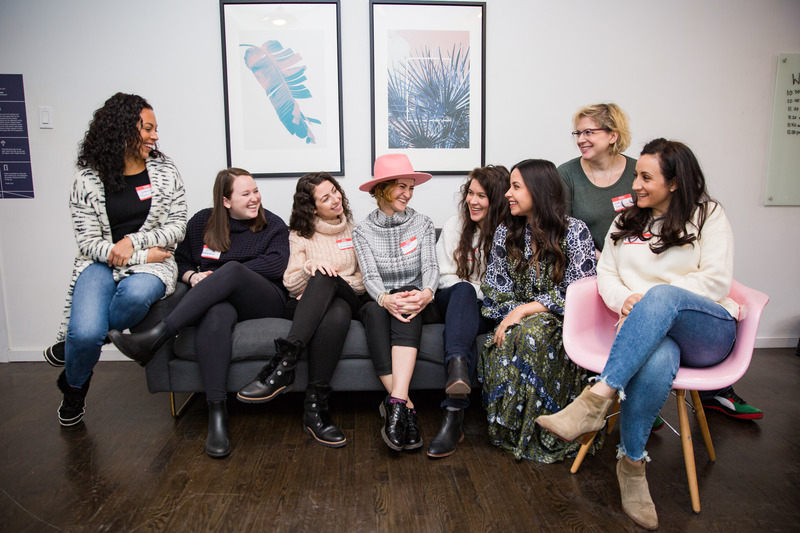 Whether you’re a small business owner yourself or the friend or family member of an entrepreneur, we’re sharing seven tips to show the fempreneur in your life love and support this Valentine’s Day (& beyond). If your family and friends usually shop at department stores or big-box retailers, encourage them to stop by a local market that’s showcasing small businesses. Take it a step further by telling your friends and family you’ll only accept gifts from small local businesses. Did you recently buy something from a small business? Share a photo of it on social media, starting with Instagram and Facebook and be sure to tag and mention the brand. Does your friend own a brick-and-mortar boutique? Check in on Facebook the next time you stop by. By sharing your small business experience on social media, you’re providing free advertising for your friends business and encouraging others to check it out as well. 63% of consumers are more likely to purchase from a site if it has product ratings and reviews. Many consumers rely on reviews to make their purchasing decision. Reviews add value, build trust, and increase product visibility in search results when you leave positive reviews on sites like Yelp and Google. Chances are your small business friends are sharing content on social media, on their company blog, and in their newsletter regularly. Take the time to notice what they’re putting out there, read their posts, and engage. Don’t merely “like” their posts, but take a moment to read what they’re saying, and if you like it, engage by leaving a comment or response. Subscribe to their newsletter and if you receive an email a few times a week from their business, try to reply to at least one of them to let your friend know you’ve read and enjoyed it. Like their business pages and comment on their blog from time to time. Check in with your friends once a month to see how business is going. Talk about their goals and do your best to encourage them to reach those targets. Follow up with a text now and then to let your friend know, “I’m thinking about you, keep up the hard work!” It may not feel like you can make a significant impact by doing this, but words of encouragement go a long way. Ask your friends for a few business cards or marketing postcards that you can give your colleagues at your office or leave around town. Chances are your friends don’t have a marketing department (or any department besides themselves). Doing it all can be draining, but it’s also hard to ask for help. Offering to help spread the word in any way that you can is helpful and appreciated. Do you have a day off from work coming up? Alternatively, maybe an open weekend? Chances are your friend will be working through the holiday (or weekend). Probably EVERY weekend. Offer a helping hand to help ship orders, organize their office, or complete other administrative tasks that may be falling by the wayside. A little love can go a long way. There are many ways to support small businesses — making a purchase, engaging on social media, and offering a helping hand are just a few. Small businesses have created 62 percent of all net new private-sector jobs — supporting entrepreneurs in your community helps the community as a whole. Now that we’ve provided you with a few tips, it’s time to get going. Start by being more mindful of where you buy your everyday necessities like coffee. Check in on Facebook the next time you stop at your local cafe or favorite retail boutique. Taking small actions will provide a positive impact on small business owners in your community. How would you like to give or receive support this Valentine’s Day? Leave us a comment below!